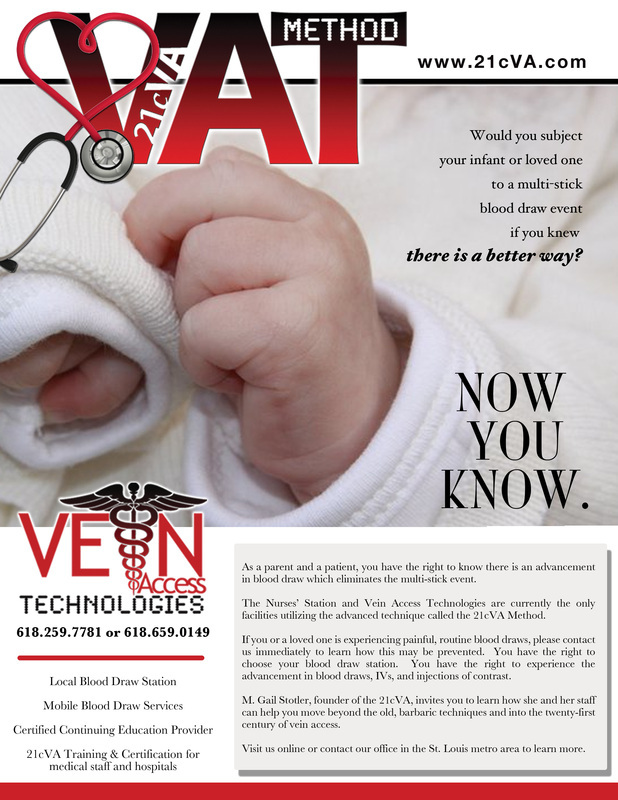 The Nurses' Station & Vein Access Technologies is a full service blood draw station. To schedule the new 21cVA Blood Draw please call our office to schedule an appointment. We also offer mobile blood draw services. We do accept many insurance companies. You may contact us anytime online or by telephone. We will be happy to assistant you!